You can specify required rental date and time, vehicle category, pick-up/return location criteria in the white form above. In case your return location is different from the pick-up location, check the box 'Different Drop Off Location?'. The preset location address: Lennujaama Tee 2, Tallinn, Tallinn, Estonia, area 'Tallinn - Airport'. -by using the Tallinn interactive map on the left. Aiport offers. 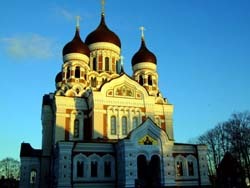 In case you need an exotic car in Tallinn (cabriolet, sports car, limousine, etc. ), or plan to pick up a car in the night hours, you should look at the rental locations in the airports around Tallinn and not in the city itself. Suppliers at 'Tallinn - Airport' have a wide car choice and can release your car at night. Insurance. In most of our offers for Estonia, the rental rates already include the 'Collision Damage Waiver' (CDW) insurance that give you a financial protection in case of an accident. If an accident occurs, you would need to pay at the counter in 'Tallinn - Airport' only the franchise (your own risk) amount. Car pick-up. In 'Tallinn - Airport', rental companies may release your car in locations outside the airport. In this case, they organize a 'shuttle bus' that departs periodically from the airport building entrance. Car return. On the final day of your rental in Tallinn, examine your voucher for fuel terms. Try to bring back the car back to 'Tallinn - Airport' in time – avoid additional expenses. After rental. Periodically monitor the return of your deposit. As a rule, rental offices in Estonia release the deposit on the day of car return, however the bank transfer may take 1-3 weeks. Rental system 'OrangeSmile.com-CarTrawler' offers a unique opportunity to hire a vehicle of your choice in Tallinn for any desired rental period at lowest rates. 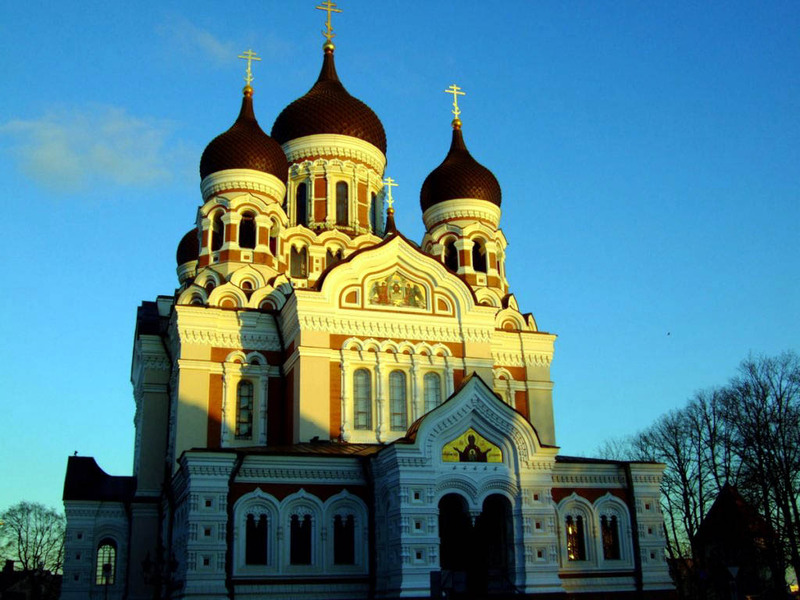 All our featured car options in Estonia come as an 'All Inclusive' package, and there are no service charges or fees associated. All the rental phases, documents and the customer support are provided in English. Fans of the most diverse culinary trends will be able to find a suitable place for rest in Tallinn. Controvento restaurant offers its guests delicious Italian cuisine. Here you can try not only traditional spaghetti and risotto, but also best Italian wines and Estonian liqueurs. Among gastronomic facilities of the city we simply cannot fail to mention the old pub The Beer House. On evenings this place is always full of travelers. Customers traditionally order beer and such popular snacks as sauerkraut and Austrian sausages. Coffee and Cake at Kehrweider is simply a perfect place for family rest. During the lunchtime visitors of the café enjoy ordering fresh salads and snacks, and in the evening visitors prefer to order special café’s cakes and aromatic coffee. Various kinds of desserts and pastries make up a significant part of the menu. Seafood lovers will be delighted by the culinary masterpieces that are served in the Mookkala restaurant. Roasted fish with grapefruit, mussels in a spicy sauce, filet of pike and tuna with spices in a mild cheese sauce – such wide choice of delicacies offered can confuse even the most hard-to-please gourmet visitor. Indian restaurant Elevant is an unusual place. Among the specialties of the restaurant is Masala chicken. Besides various exotic dishes the guests are attracted by original decor and unique atmosphere of the restaurant.